Out with the old, in with the bolds! 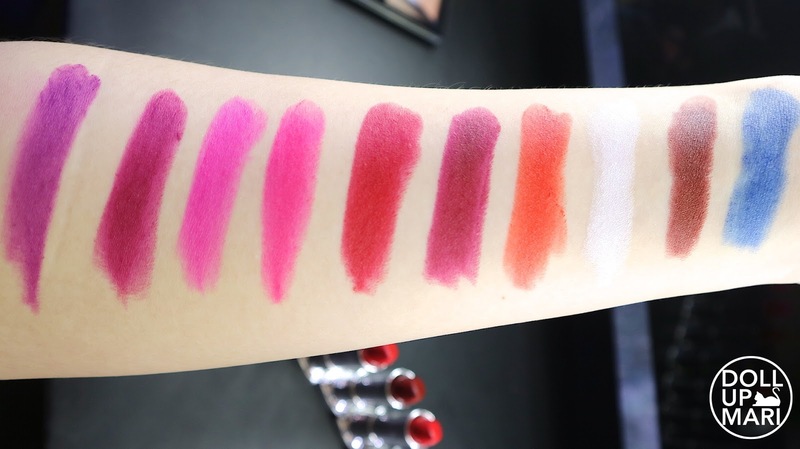 The Loaded Bold Mattes from Maybelline are here! I've been dyiiiing in anticipation for this because I follow Maybelline China's WeChat and Weibo accounts and all they've been talking about the past month or so is The Loaded Bolds. It's not in Hong Kong yet when I went last month, which is why I'm so happy that I'm finally able to catch the collection here on our own shores. This was also the Q2 meeting for the Maybelline Squad, so aside from learning more about The Loaded Bolds, we were also given a sneak peek on what's coming soon (Read: FIT ME IS COMING TO THE PHILIPPINES THIS YEAR HOAYGASH MAY GULAY MAY PAMILY TELL THE GOVERNOR). 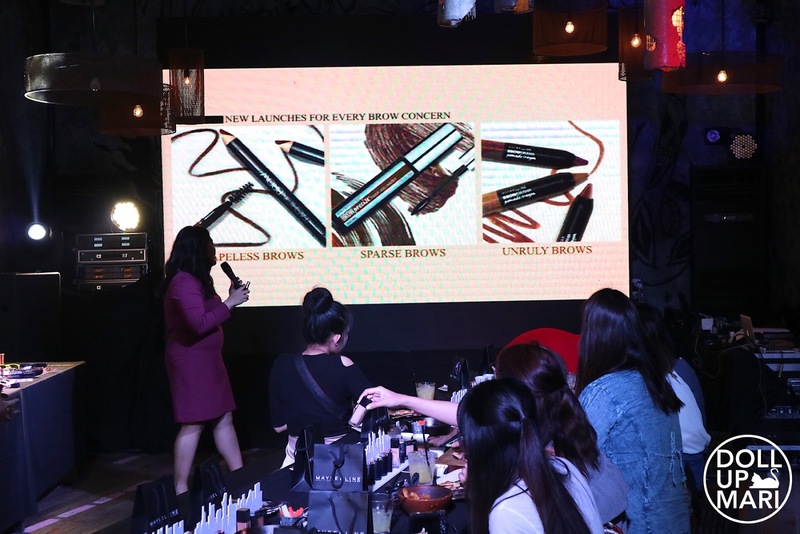 Not to mention that Maybelline is going to strengthen and reinforce its brow game with new offerings for every kind of brow problem. 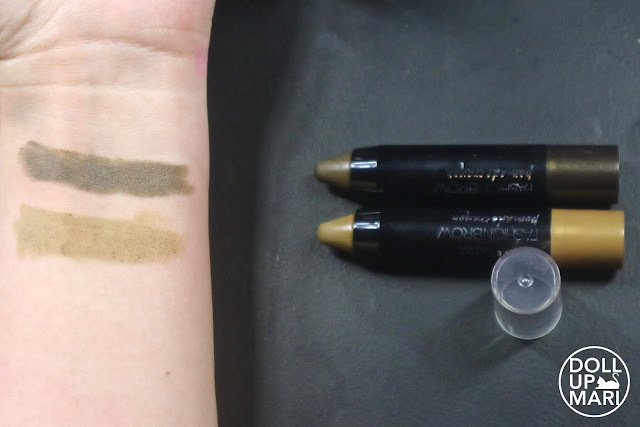 We will be seeing new brow mascaras, special brow pencils, and promade crayons sticks in stores very, very soon! Yes this is XXXX. I've never been here ever. Or to rephrase it, I live in QC and was just never the party girl so I barely go out at night. 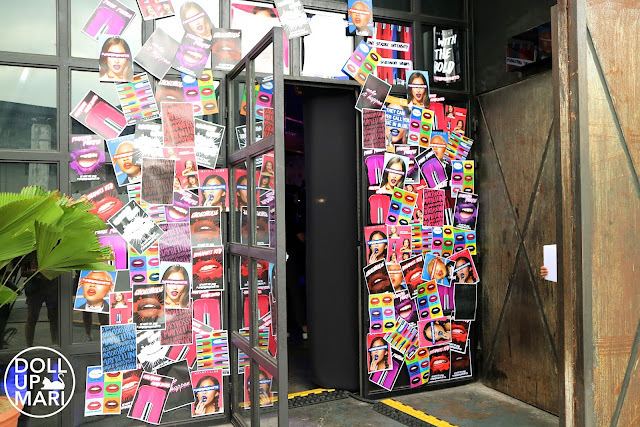 I have only been to The Skye Lounge when I competed in Brandstorm 2015, and as far as I am thinking back, I haven't been to any other "it scene" nightclub or lounge. Who would've thought that the concept of flatlays would evolve to the point that almost all events have flatlay stations now? Even the term is so novel. Even I find it hard to believe that people are following me on Instagram to see me lay out items all day long. Thanks for staying with me you guys. ILYSM. Orayyt people, let's get down to business! Jia Brion, MNY product goddess for eyes, is very excited as she reveals their upcoming eyeliner and brow products. 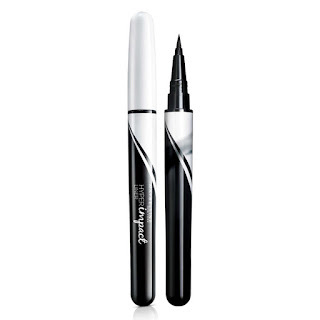 This is the eyeliner! My backlog is sooo long I don't know when I'll get to shoot mine, so I'm linking you now to Calyxta so you can buy this. I think this is already a much closer dupe to Benefit's They're Real. This is a foam tipped eyeliner pen, if I'm not mistaken. 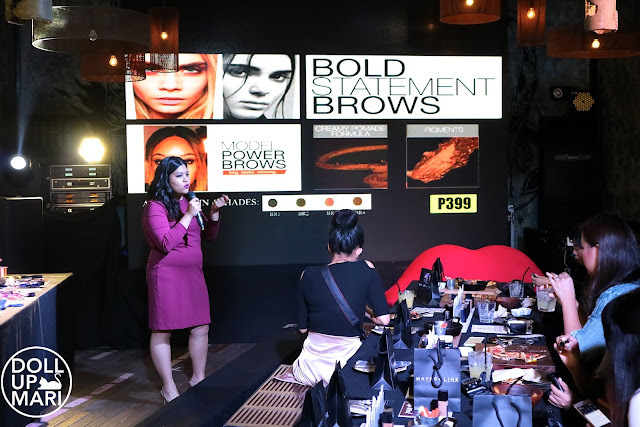 Goinh back to brows, they are addressing 3 main brow issues this quarter, namely: Shapeless Brows, Sparse Brows, and Unruly Brows. For Shapeless Brows, they're coming up with Fashion Brow Shaping Pencil. It's a pencil with a slanted tip, so that you can do your brows more efficiently. And then there's a spooley so you can "lift" up and comb your brow hairs for more definition. They're also coming up with brow mascaras. 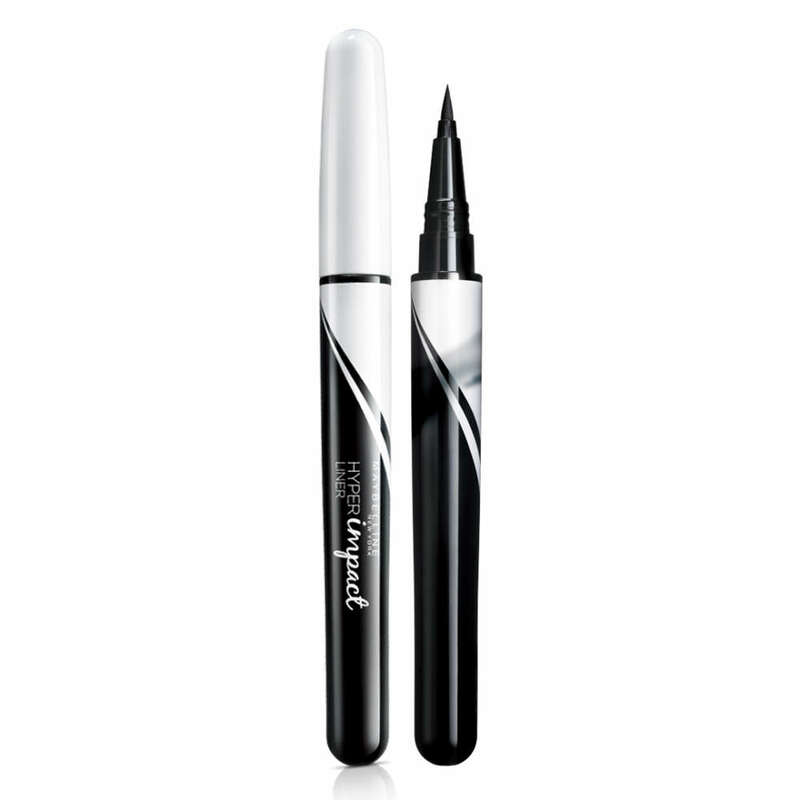 In China, Maybelline recently released a brow tattoo gel, so who knows, that might be coming to us in Q3! 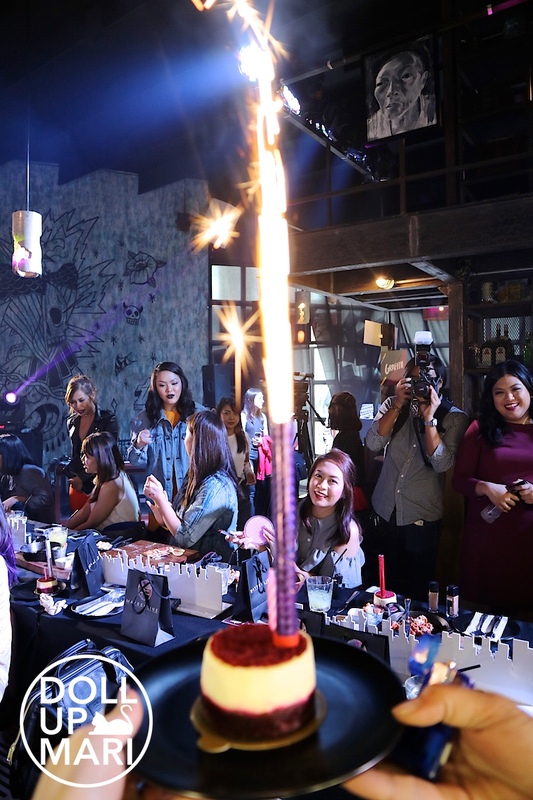 But for now, Jia was very excited to announce that they are releasing their Fashion Brow Pomade Crayons this quarter. 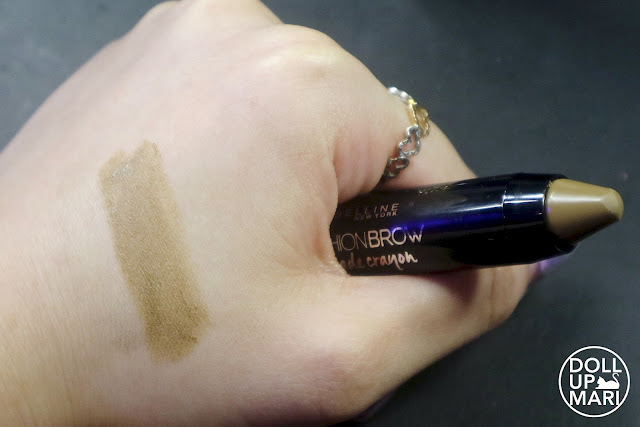 This is your idea of brow pomade, but in stick format to make it easier to tame hairs. The stick format also means that you can get away without a brush, compared to if it were in a pot. I swear by brow pomades now because I have barely any brows, so this is something that is so exciting to me. They'll be releasing this BTW in four shades because they know we've all been experimenting with crazy hair colors as of late. 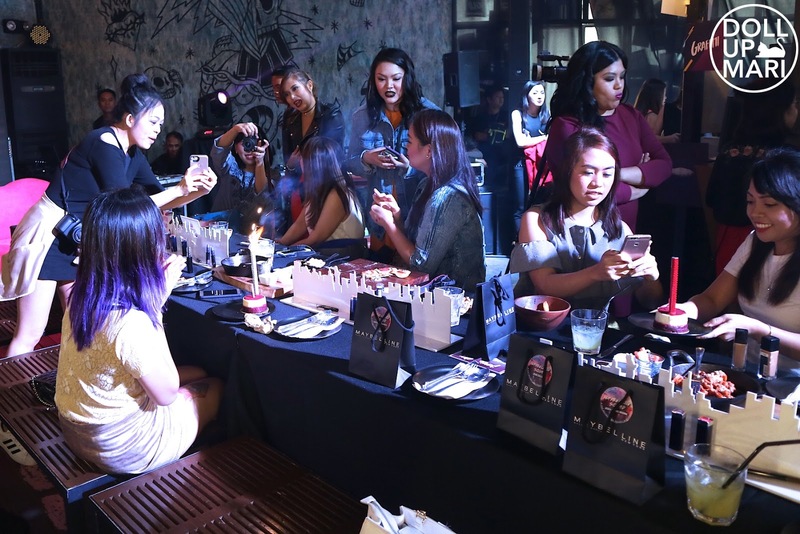 For the event, they still had just two shades of pomade available. This is shade BR-1, a dark taupe brown. I think this'll be perfect for everyone who has black hair and brunette hair. I think this'll be my shade. This is BR-4, a yellowish caramel tone. This is good for those with blonde hair, and personally, I think I'll use this when I don't want to make my brows to look too strong. Here's how they look like side by side. 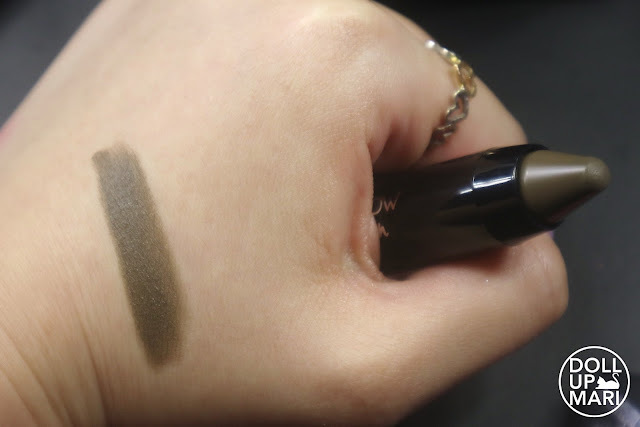 This is, texture wise, softer than the usual eyebrow pencil, but harder than what one would expect from an eyeshadow pencil. This is a thick formula which is obviously serious about taming stray hairs. I think this is also going to defeat the huns and last on our brows all day long. 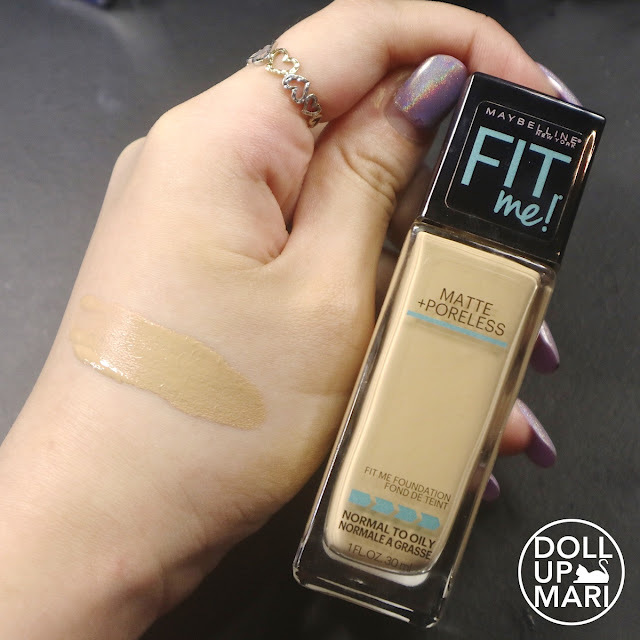 For those who have included Maybelline's Fit Me collection in their prayers, your prayers have finally been answered! 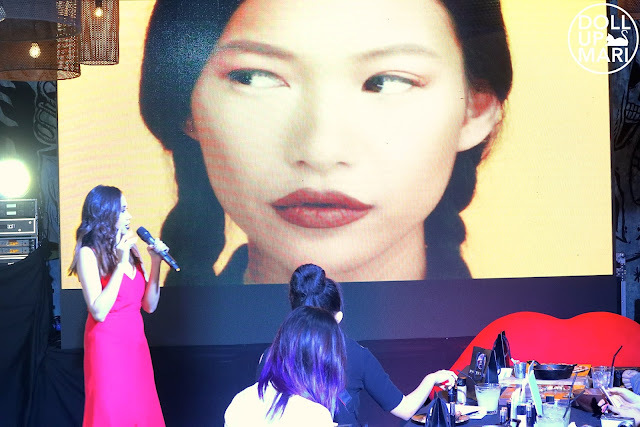 Bianca Sing, face goddess of Maybelline, was very very very excited (and that is still an understatement) to announce that the extremely coveted face collection will be available in Philippine stores this June (basta this year!!!). Fit Me is coming to town and you better believe it! We have been asking them nonstop for forever to bring this in, and the gods of Maybelline have heard our prayers. The Fit Me concealer won't be alone anymore, because this year it will be joined by 3 other world favorite formulae from the colection. The Matte+Poreless foundation is coming, alongside the foundation stick and the pressed powder. I bought the foundation online on my own to try, and I love it so much. Amongst all the Maybelline foundations, Fit Me Matte+Poreless is the best for me. 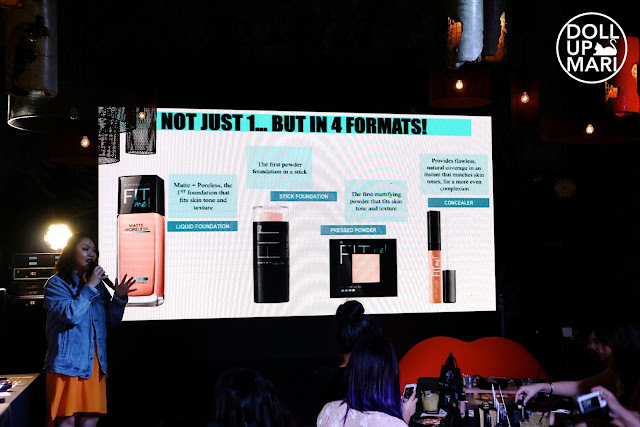 The best is Super Mineral 24, actually, but since it got banned in Asia, Fit Me will be the next best thing from Maybelline. I am so excited for the stick foundation because I am now sort of starting to believe that thicker foundations may actually, and ironically, be the solution to prevent makeup meltdowns. Some makeup schools actually still require foundation sticks and cakes up to this day because the school of thought is that the thicker the foundation, the more "moisturized" the skin is, the less oil it'll produce on its own. Or something to that effect. 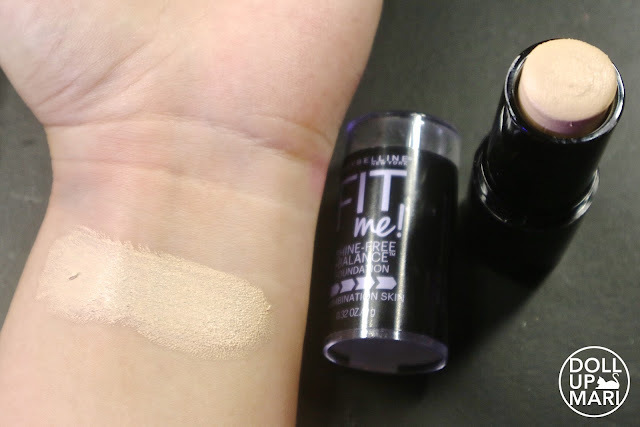 I am loving the thickness and tackiness to Fit Me Shine Free Balance Foundation. I've personally found that foundations that tend to be thick and sticky also tend to last better and fare better against oil. I have yet to see how lightweight this feels, but since it's livig up to the Fit Me branding, I think I can be confident that it'll be comfortable. This is shade 115, if I remember correctly. And I have yet to know how many shades and which shades will end up in the official roster because now is too early to say. They're most likely gonna bring the morena friendly shades of Fit Me! I am shade 112, and this is shade 310. I was more or less given clues that they'll also be bringing in shades for people as pale and ghostly as I am, so this is something that is exciting me sooo much. I can't wait to see the spectrum!!! 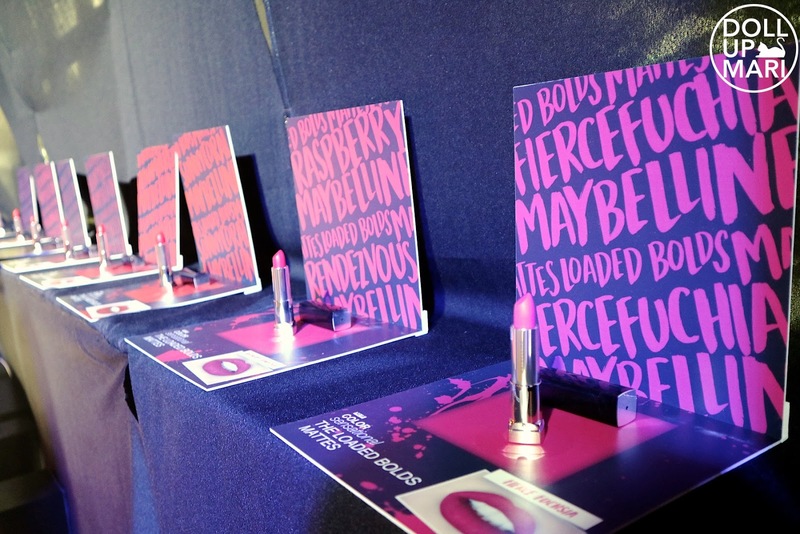 And of course, the reason why we were invited in the first place is because Maybelline is proud to finally be releasing The Loaded Bolds! 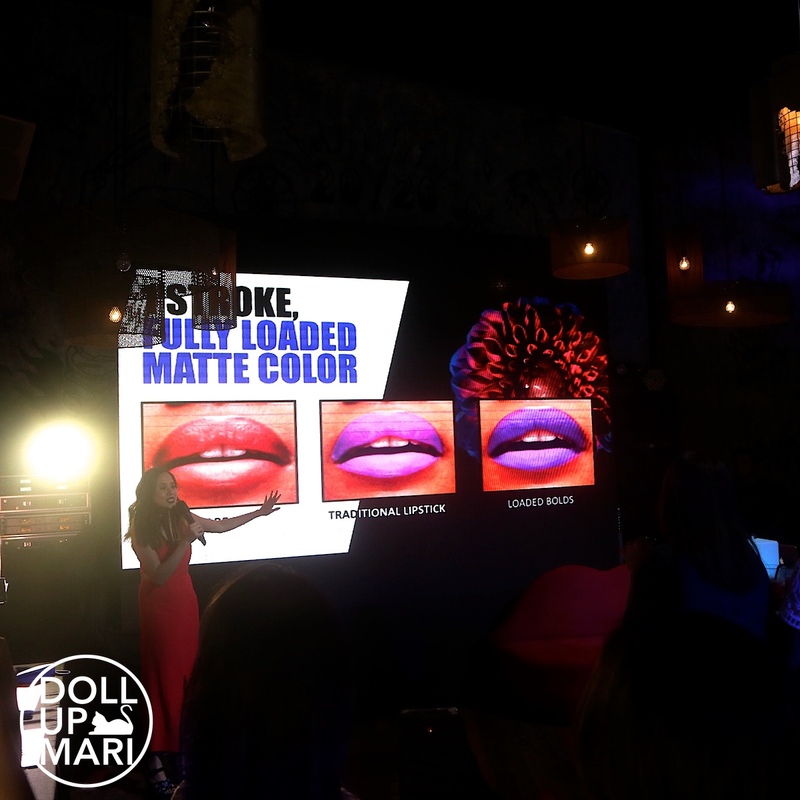 Kat Diaz, senior product goddess for lips was very excited to share about this new formulation. 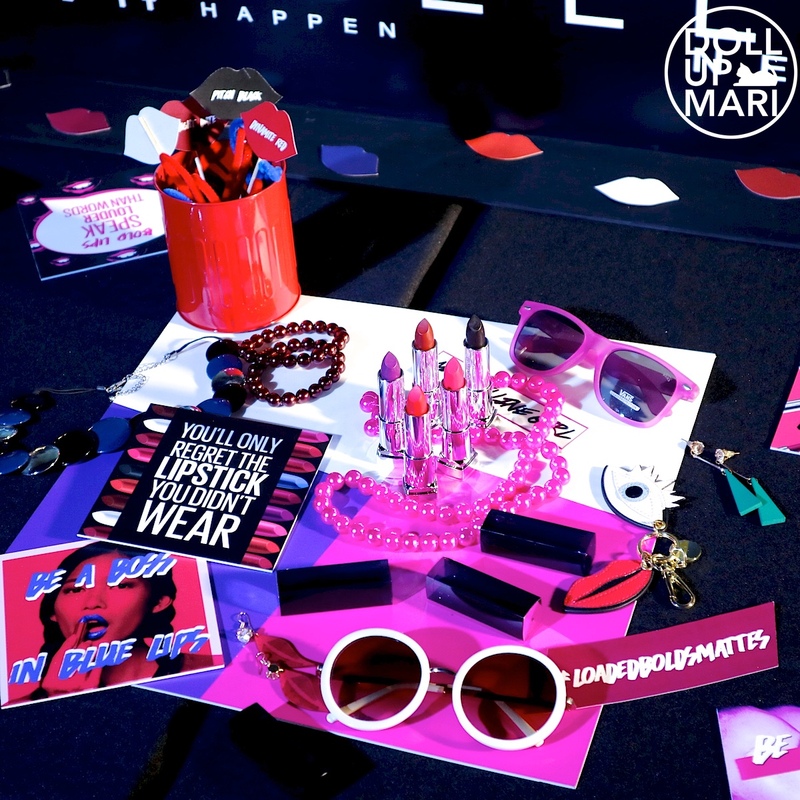 The collection is all about these unapologetically beautiful, kickass shades that will reaaally make a statement for you. Each shade is literally loaded with so much pigment so that you can use the white and black shades to water down or intensify the look. 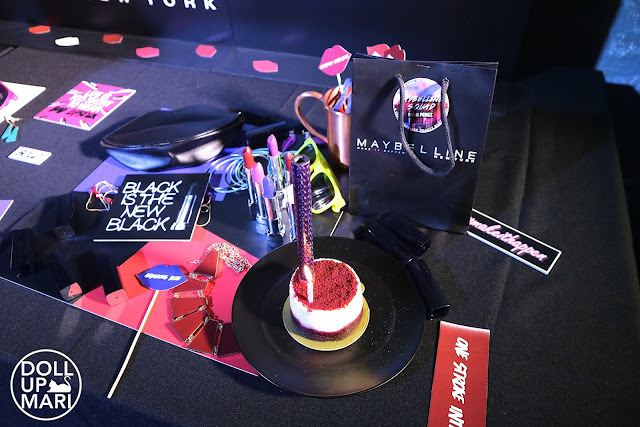 They also had a small birthday surprise for all the Maybelline Squad girls whose birthdays fall in April. There;s Gen-zel, Kaycee, and me hahaha. They asked me to sing the birthday song and I was like "My birthday is this month too." I don't indicate my birthday on like all of my social media accounts, which is why no one knows hahaha. BTW I chose this shot because Shayne is using her Lumee here and her Lumee selfie got featured on Buzzfeed! Bes di ka na ma reach. This is my Dean and Deluca baby Red Velvet cheesecake! This proves why Ogilvy is Ogilvy. They bought 3 cakes even when just anticipating 2 celebrants. And Kat was laughing because the first thing I do upon being presented this cake is to take photos of it. 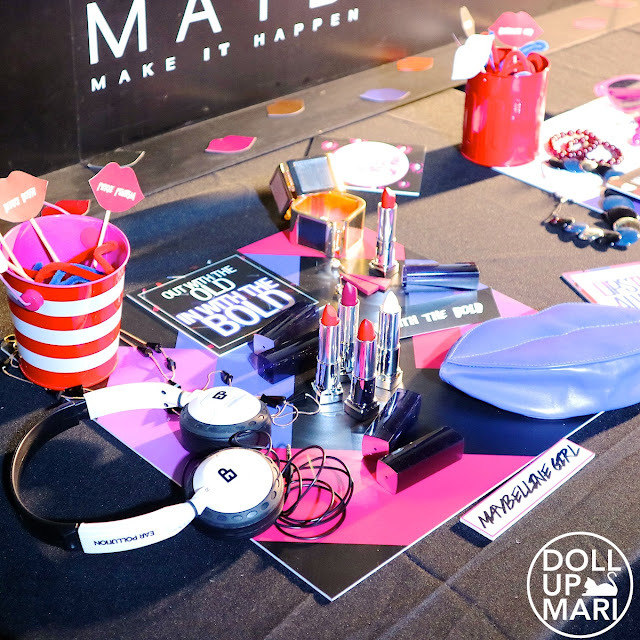 Yaaay thank you Maybelline for the advanced birthday paandar!!! 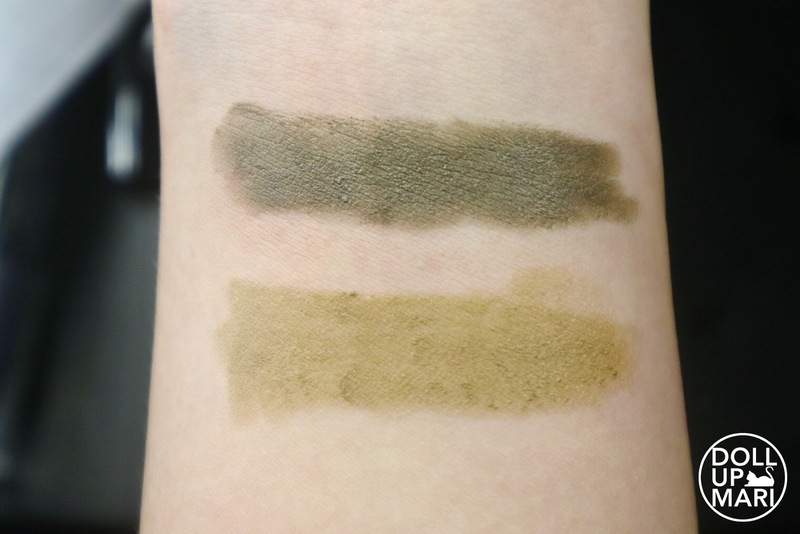 Okaaay going back, these are swatches for the shades except Sunny Coral and Pitch Black. 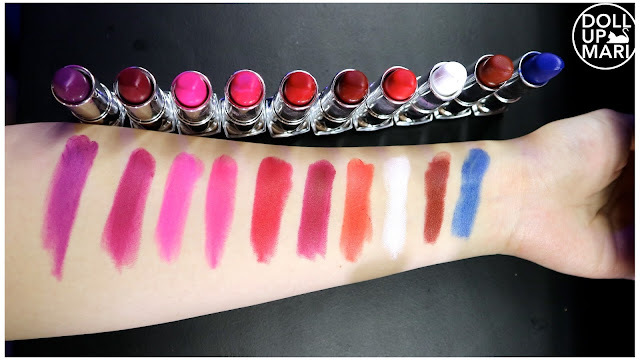 You can check out my in depth watch post to see these in more angles and with lip swatches and headshots. Fearless Purple, Berry Bossy, Fierce Fuchsia, Rasoberry Rendezvous, Smoking Red, Midnight Date, Dynamite Red, Wickedly White, Chocoholic, and Audacious Blue. I'm so proud to say that I wasn't even trying! Like these colors came on so boldly without even any effort at all. I am so impressed! Tee hee they had a cute display going on at the event! This event was not only a reveal of the New Loaded Bolds, but an official celebration of a renewed partnership between Maybelline and Asia's Next Top Model. This season 5, Maybelline is yet again the official makeup partner! To celebrate the collaboration and goodwill, Maybelline staged a fashion show, with the models of course sporting the new Loaded Bolds. 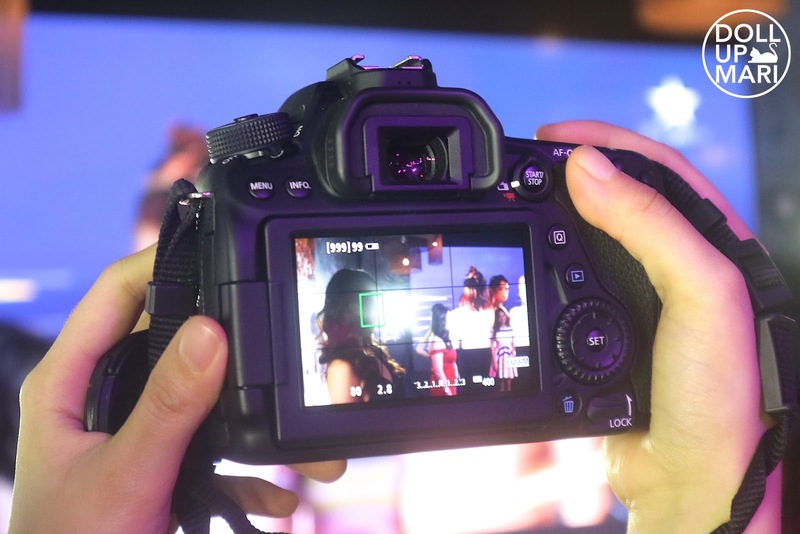 The show as seen from Shayne's lenses. Should I get the 24mm pancake lens or not? I need suggestions hahha. And wee, Jennica Sanchez, an official AsNTM contestant, was there! I'm sure she was sporting Audacious Blue hehehe. I feel that among all the Philippine exports, she had the strongest profile photo. She's modelesque, and reminds me a lot of the beautiful Bianca King. I wish her the best in the competition. And finally, (Lord) Cary Co, marketing director of Maybelline, gives a word on how elated Maybelline is to be renewing their relationship with AsNTM this season. 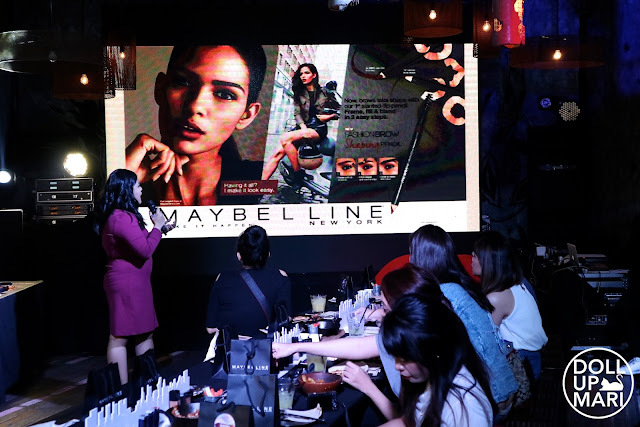 She shared that Maybelline is all about empowering women through makeup to achieve their dreams and pursue their desired careers. 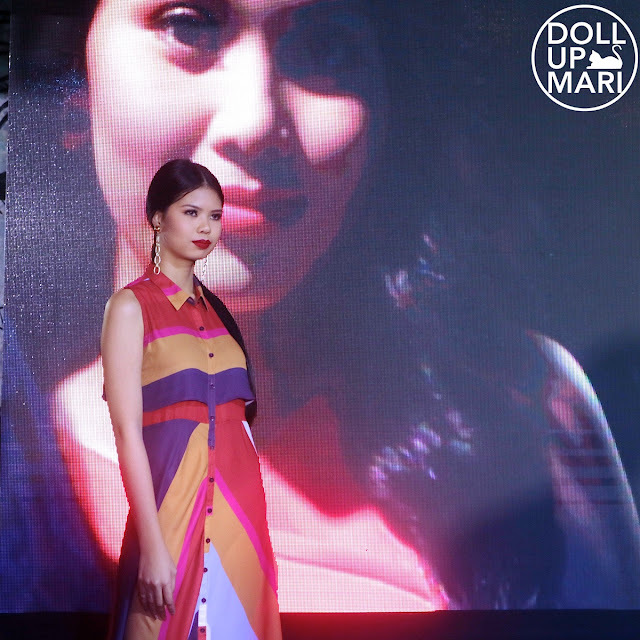 As such, AsNTM is a very fitting personification of these values. So yaaay, that's it for this Q2 squad meeting! So excited to be seeing what the brand will do next! Wow ang ganda ng shade! Love it! supposedly chocoholic is very suited for morena.. pero baka depende rin yan sa undertone. it's warmer toned, so if your skin is very cool toned baka magka clash. Brow problems ah, isa ako sa meron nyan..lahat naman pong swatches from maybelline is super ganda! Sa foundation anything for me will do as long as di sya malagkit at d ako mgkaka oily, lalo na this summer... sana makapunta rin ako sa ganyang event someday! 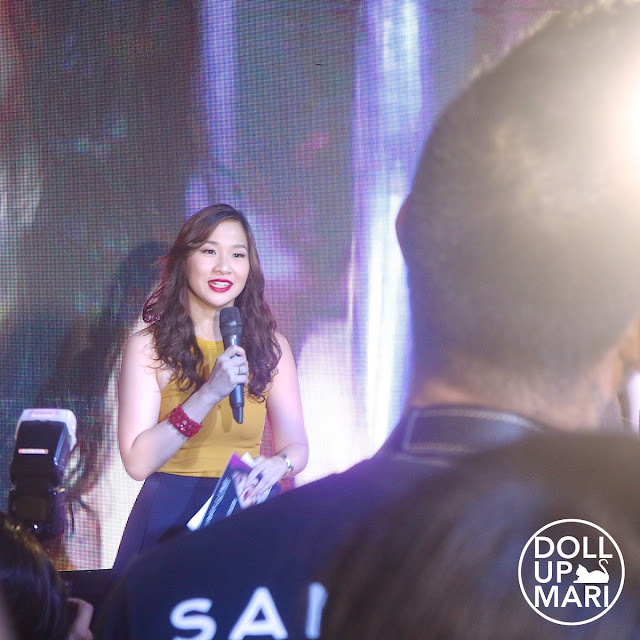 Advance Happy Birthday po ah madam Mari! More success to come po! Stay Beautiful and strong! God Bless you forever! Thanks for this post, malaking tulong po ito sa mga kagaya kong unprofessional sa make up industry! Nalaman ko na din kung anong shade ang bagay sakin just because of this post! Thank you po! Looking good. 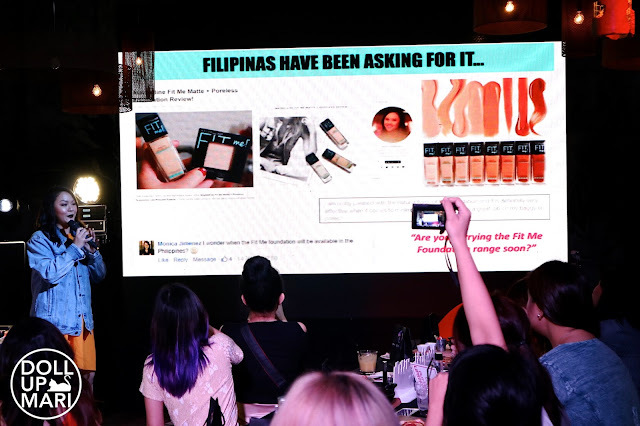 Galing talaga ng Maybelline! Love their products!